At Learning to Learn there is a wonderful program for your 3 year old. The Red Balloons!! The group consists of up to 24 children and 2 teachers. 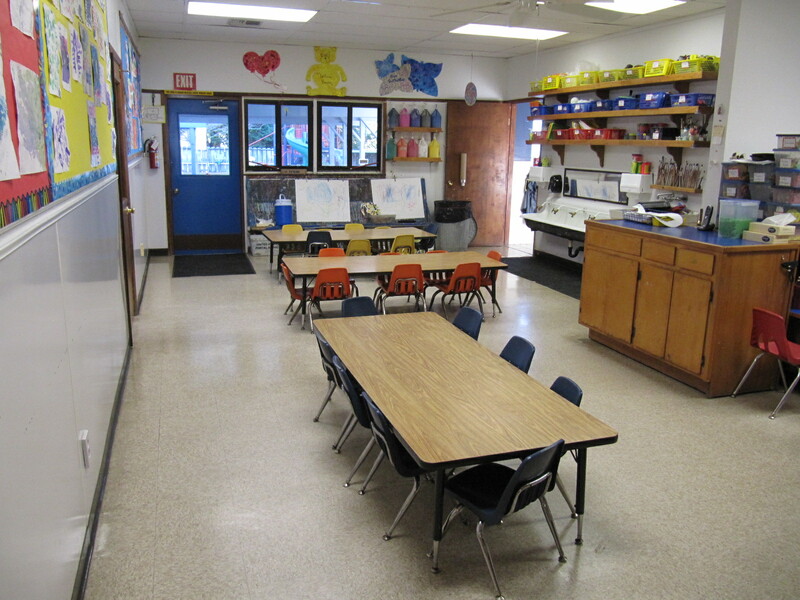 Each morning the group and its teachers rotate through four major rooms: the Readiness Room, the Library, the Art Room, and the Movement Room/Playground to engage in various activities developing the whole child. Our 3 year old program provides a rich curriculum giving your child a strong pre-kindergarten program. The Red Balloons work on academic skills such as letter recognition, early literacy skills, color and shape concepts, pre-math skills and pre-writing. In addition to the main academics there are always opportunities for Science, Cooking, Dramatic Play, Music & Physical education and plenty of Fun! Fun! Fun! At this age we also see the importance of developing and teaching self-help skills, sharing spaces and materials, problem solving, and social skills. At 3 years old development is happening rapidly from toddler to pre-schooler and our staff is well trained in allowing for safe exploration, fostering independence, and promoting positive self-esteem. Good Morning! All groups are together in the Art Room. Table activities, coloring and books. Please bring your child to the Art Room. You may bring in a breakfast to eat before 7:30. Games. Red Balloons go the Movement Room for some group games or time in the habitrail. Preschool Begins. 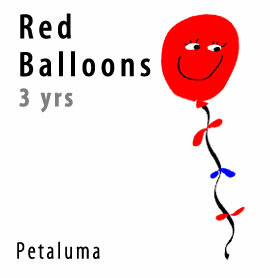 Children are split into their groups and the Red Balloon children go to the Readiness Room. Readiness Room. Small motor skills, math, science experiments, puzzles, story dictations, pre-writing, letter and number recognition activities, language skills, problem solving, dramatic play and social interaction. Library, This includes stories, flannel boards, calendar, songs, fingerplays and movement activities. If you have a favorite children’s book that relates to our theme your child may bring it in. 10:00 – 10:05 am Potty Time. All children are encouraged to use the toilet and wash their hands. Snack Time, Children are encouraged to try their snack. Occasionally they will make their own snack at a cooking experience. Birthdays are celebrated by having the parents bring in an approved snack for your child to share. Please talk to your child’s teacher to arrange this. Movement/Outside Time. Group games, large motor, balance and coordination, music, dance and rhythm bands. Games and activities are in the Movement Room or outside. Art Room. Creative choices, theme related art with different mediums. Process, not product oriented. Easel painting, finger painting, chalk, collage, gluing, cutting, printing, play dough, and many more. Occasional cooking experiences. Lunch Time. Lunch in the Readiness Room. 12:15 pm Preschool ends. Please be on time picking up your child if they go home at this time. Finish lunch, potty, washing up, quiet games and story time to get ready for lunch. Rest Time. Rest time in the Yellow Duck Room or Library. We start out with some soft music to settle them down. Wake Up. Waking up, potty, shoes on, quiet play time etc. Snack & Art Time. A healthy snack is provided. A variety of art and dough’s to manipulate. Outside/Movement Room. Outside playground time with a variety of outdoor games, climbing and sandbox play, potting shed and sensory play. Large motor skills developed in the Movement Room. 4:00 – 4:30 pm Readiness Room, Choices of acivities are put out by the teacher. Children may choose from several tables or floor activities. Potty and Hand washing and Late Snack. Children are encouraged to finish up any leftover items in their lunchboxes. Parents should supply a little extra food if their child is here at this time. Readiness Room. All remaining children combine for some quiet table activities. During this time, they can also gather their belongings and play in small groups while waiting to be picked up.